John M. Kane, MD, is senior vice president for Behavioral Health Services of Northwell Health and chairman of psychiatry at The Zucker Hillside Hospital. He is chairman of psychiatry and professor of psychiatry and molecular medicine at the Donald and Barbara Zucker School of Medicine at Hofstra/Northwell. Dr. Kane received his BA from Cornell University and his MD from the New York University School of Medicine. Dr. Kane has been the principal investigator of ninteen NIH grants and contracts and authored over 450 scientific papers in peer-reviewed journals. 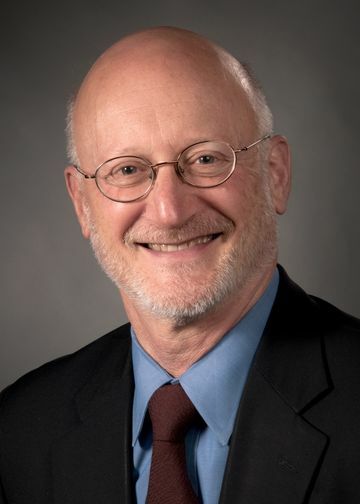 He has been a member of the Board of Scientific Counselors for NIMH, and has chaired the NIMH Psychopathology and Psychobiology Review Committee as well as the Psychopharmacologic Drugs Advisory Committee of the Food and Drug Administration. He has served as president of the American Society of Clinical Psychopharmacology, the Schizophrenia International Research Society and the Psychiatric Research Society. Dr. Kane is a recipient of the Arthur P. Noyes Award in Schizophrenia, the NAPPH Presidential Award for Research, the American Psychiatric Association’s Gralnick Award, Foundations’ Fund Prize for Research, the Kempf Fund Award for Research Development in Psychobiological Psychiatry, the Lieber Prize for Outstanding Research in Schizophrenia, the Heinz E. Lehmann Research Award from New York State, and the Dean Award from the American College of Psychiatrists. Dr. Kane is a schizophrenia researcher with extensive experience in intervention and services research. He has been very involved in developing live two-way video for use in research in patients with schizophrenia. He has also been working on the development of new strategies for patient engagement, adherence monitoring, and clinical decision making using advanced technologies. He has directed an NIMH-funded Advanced Center for Services and Interventions Research that has provided infrastructure for many of these efforts. His clinical program and behavioral health system are committed to implementing new technologies that can enhance access, quality of care and outcomes while increasing cost effectiveness. He is eager to conduct this research in order to further inform our efforts in both a Health Home and Behavioral Health Organization, which are part of the health system. He works closely with numerous acadmic, state and federal agencies as well as advocacy groups to ensure feasibility and sustainability of new models of technology-enhanced care. For over 30 years, Dr. Kane has been an international leader in the field of schizophrenia research. His work has focused on improving the early diagnosis and treatment of this illness, as well as developing new treatments and treatment strategies to improve its long-term course and outcome. He was a pioneer in the study of first episode schizophrenia and also conducted groundbreaking work with clozapine for treatment resistant schizophrenia. He has continuously focused on both therapeutic and adverse effects of psychotropic drugs, thereby informing benefit-to-risk considerations. Dr. Kane has always been on the forefront of bringing the next generation of medicines to patients in order to enhance long-term effectiveness and quality of life. The laboratory runs a number of large clinical trials. Dr. Kane also devotes his efforts to standardizing the outcome measurements in psychiatric research and helping to ensure the translation of research into clinical practice. Since the beginning of his residency at The Zucker Hillside Hospital in Glen Oaks in 1971, Dr. Kane has committed his career to unraveling the mysteries of this brain disorder. He is listed in Thomson Reuters as a “Highly Cited Researcher” in The World’s Most Influential Scientific Minds. The program, under his direction, continues to conduct pioneering studies on the treatment of first episode schizophrenia. In addition, he and his team are studying the use of new technologies – from smartphones to two-way video – to enhance disease management. Dr. Kane and his colleagues have helped to determine treatment strategies for all phases and subtypes of schizophrenia. His findings have been circulated worldwide and have become part of the fabric of modern care. All of the scientists within the Center work in collaboration with Dr. Kane on the clinical pharmacology studies underway at The Zucker Hillside Hospital. He is the principal investigator on three large federal grants. Kane JM: “Schizophrenia.” N Engl J Med 334(1):34-41, 1996. Woerner MG, Alvir JmaJ, Saltz BL, Lieberman JA, Kane JM: “Prospective study of tardive dyskinesia in the elderly: Rates and risk factors.” American Journal of Psychiatry. 155(11): 1521-1528, 1998. Umbricht D, Javitt D, Novak G, Bates J, Pollack S, Lieberman J, Kane J: “Effects of clozapine on auditory event-related potentials in schizophrenia.” Biological Psychiatry. 44(8): 716-725, 1998. Kane JM, Davis JM, Schooler N, Marder S, Casey D, Brauzer B, Mintz J, Conley R. “A multidose study of haloperidol decanoate in the maintenance treatment of schizophrenia.” American Journal of Psychiatry. 159(4): 554-560, 2002. Strom BL, Eng SM, Faich F, Reynolds RF, D’Agostino RB, Ruskin J, Kane JM. “Comparative mortality associated with ziprasidone and olanzapine in real-world use among 18,154 patients with schizophrenia: The Ziprasidone Observational Study of Cardiac Outcomes (ZODIAC).” Am J Psychiatry 2011;168:193-201.